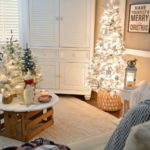 How to decorate a beautiful flocked Christmas tree on a modest budget, and create a soft, snowy, sparkly Winter living room filled with diy project, thrifts store finds and affordable furnishings & decor! Hello my Winter Foxes! Welcome to The Little Cottage, I can’t wait to show you around. 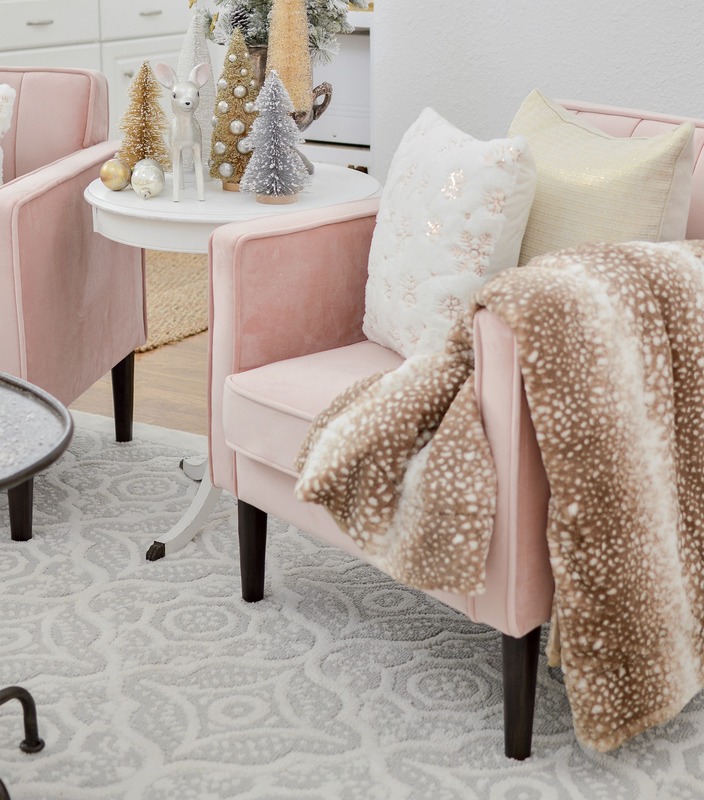 As you can see, the pink velvet chairs have spurred a flurry of pink accenting for the holiday. I can not even tell you how fun it’s been to play with this soft pink blush color. Being a boy mom has been the best thing ever, but I definitely missed out on a lot of pink over the years, and I’m making up for it now! 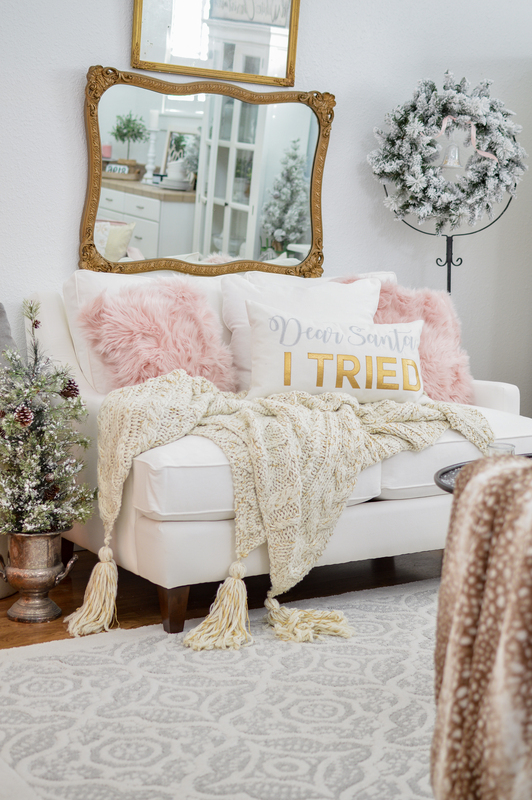 Back in the Fall, when I decided on the pink velvet, instead of being practical and getting gray, I knew I wanted to decorate The Little Cottage with splashes of pink for Christmas, and this has just been a dream. I hope you’ll indulge me! 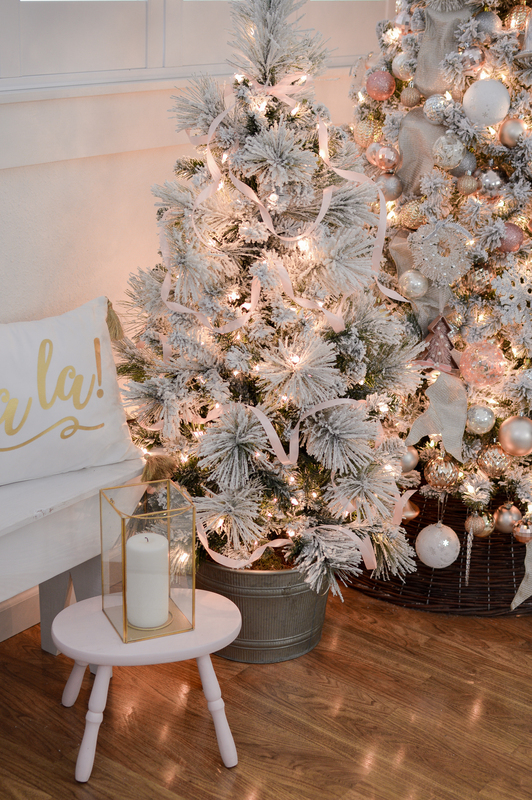 I gathered up all my flocked trees, wreaths and garlands, and everything I had in silver & gold to decorate. I tried to buy very, very little new, and when I did it was very inexpensive. And it was also pre “we have to do major construction on the house”. But I don’t regret a thing. My mom and my sister were texting me one day while they were out shopping, and I showed me these sweet vintage looking deer. Well I loved them of course, and a lucky me, a few days later they showed up in the mail! I knew right where I was going to put them too! 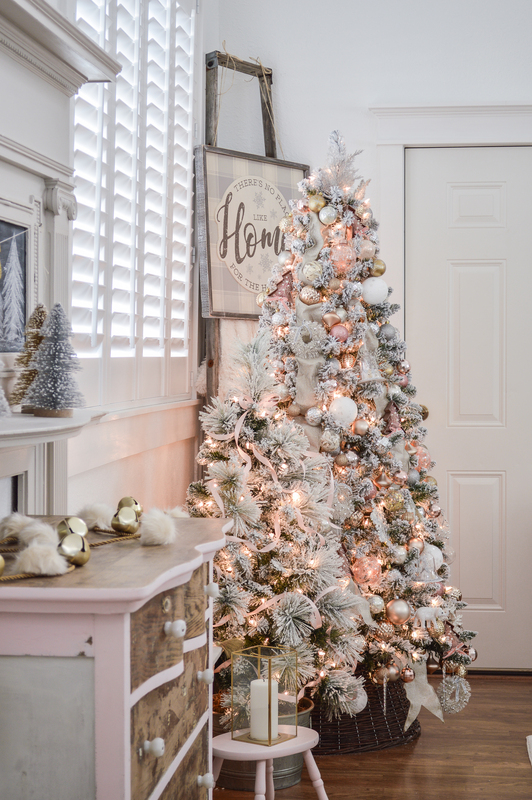 Bottle brush trees are the perfect holiday filler! They go anywhere, go with everything, and I use them copiously. I really tend to stick to basics I can use again & again. They tend to save me money, minimize frustration, and make decorating so much easier. I did hit a little hiccup when I couldn’t find my $30 Flocked Tree, but I rallied and hit Walmart, and got one of the last two $79 pre-lit trees they had left. It’s a foot taller, a bit fluffier and I didn’t have to string 600 lights. It was worth it. I am in love with it. Could I go bigger with the vaulted ceilings? Sure, but I didn’t have several extra hundred dollars to buy a tree or all the additional ornaments it would take to fill it, and I am totally content with this. 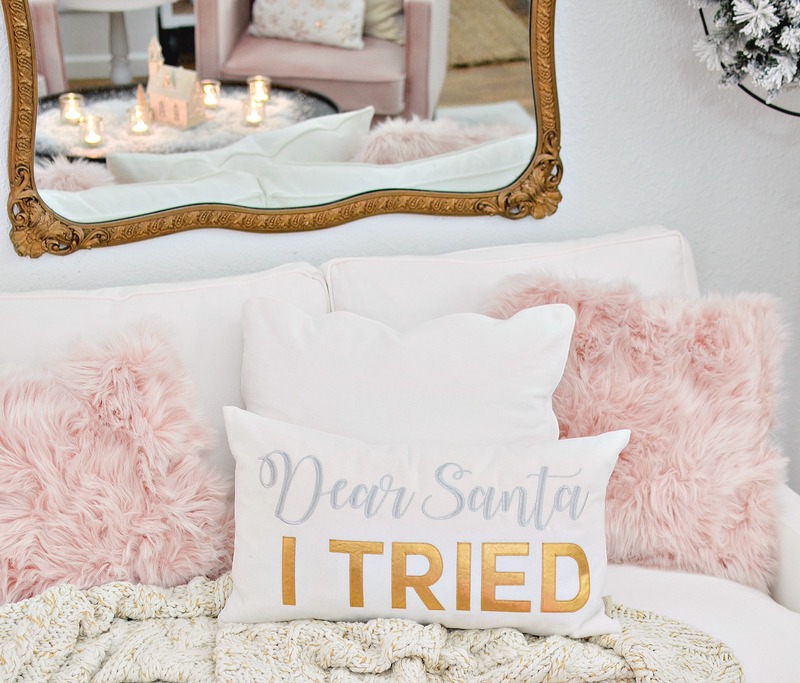 I got so, so lucky when I saw these faux fur pillows in (what I crossed my fingers was) the perfect shade of pink. And they were! I was actually shocked at how well the tone and shade matched my chairs. The seascape was switched out for a vintage mirror. One of several I’ve found out junking for super cheap. I forgot to light the little tea lights when I first started taking my pictures because honestly, I was feeling rushed. My old vintage ladder hides the electrical box and panel. I always find something to hang on it to act as ugly-real-life-stuff-camouflage. 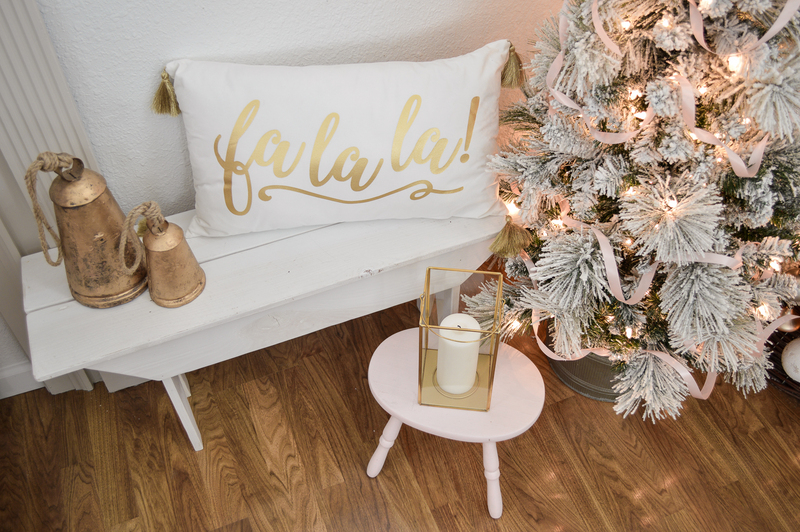 This year, it was a darling There’s No Place Like Home For The Holidays wood sign that Devanie Adams sent me from Krumpets home decor. 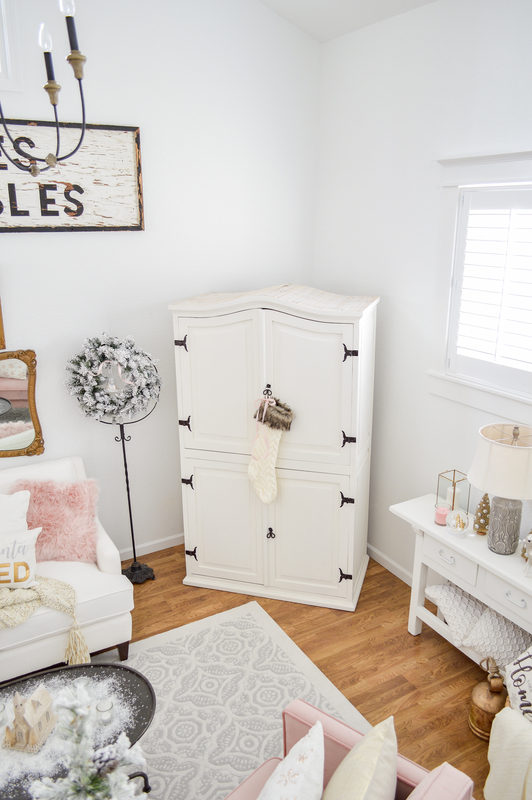 Partnering with this small business to share with you has been an extra blessing this year, since we are throwing so much into re-building our house. 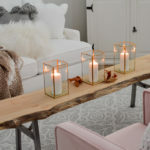 Make sure to read the source section at the end of my post for an amazing sale going on right now! 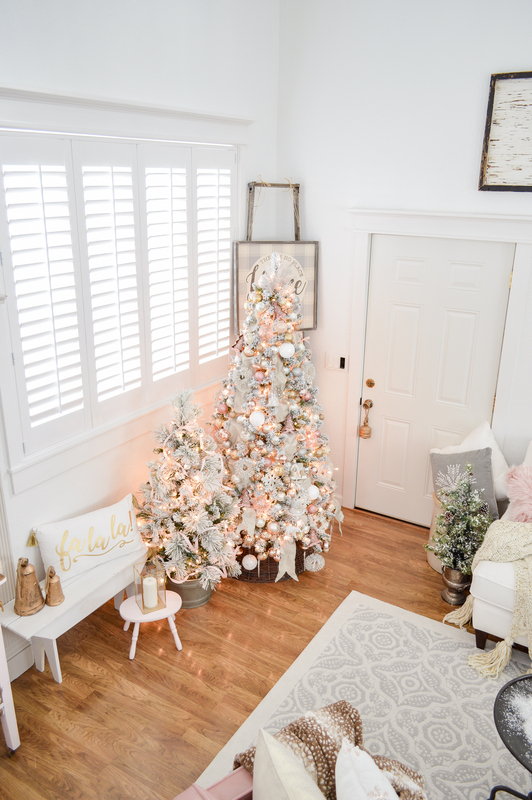 I had actually planned to leave the little flocked tree totally naked! But at the last minute, I tried just very causally looping some pink satin ribbon around it. And I’m so glad I did. 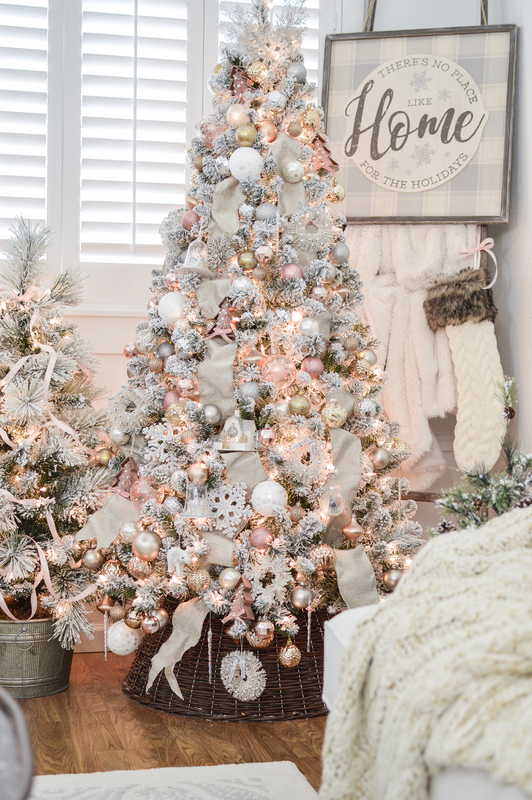 It’s a soft pale pink, and I used it to hang the stockings up, and just gave it a shot on the tree. Happy accidents. Often the best kind! 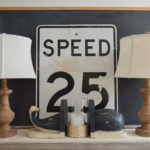 My Antiques Collectibles sign is something that will always be here. That wall is its home. I can’t imagine ever taking it down! 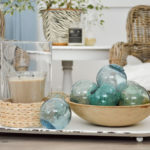 The coffee table decor is simply some Oui glass yogurt jars, tea lights, faux snow and a glitter dusted Putz house. I kept things light, and somewhat symmetrical on the console. 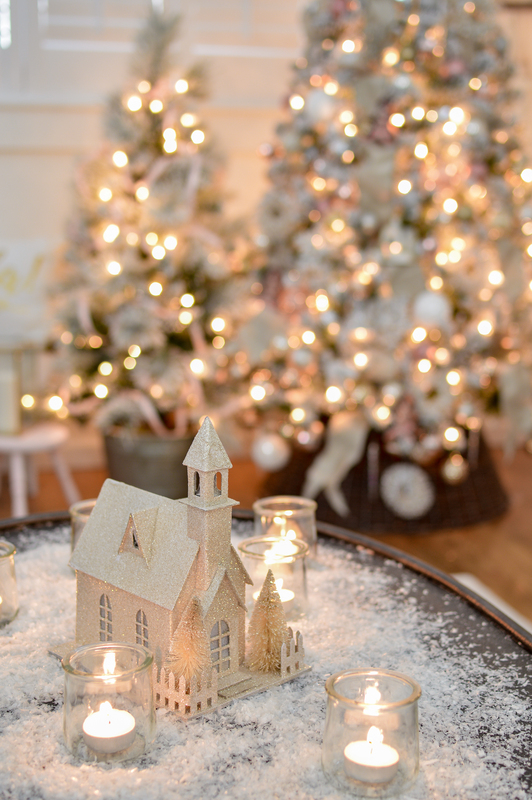 I really wanted the tree, and the mantel to be the focus in this room. Because they are what I want to look at the most and I didn’t feel like every surface needed to be drenched in Christmas. I just adore those Deer! I love the vintage vibe, even thought they aren’t. My friend Kelly Elko (aka Eclectically Vintage) got them too! And she’s across the country, all the way over in New Jersey. Small world. 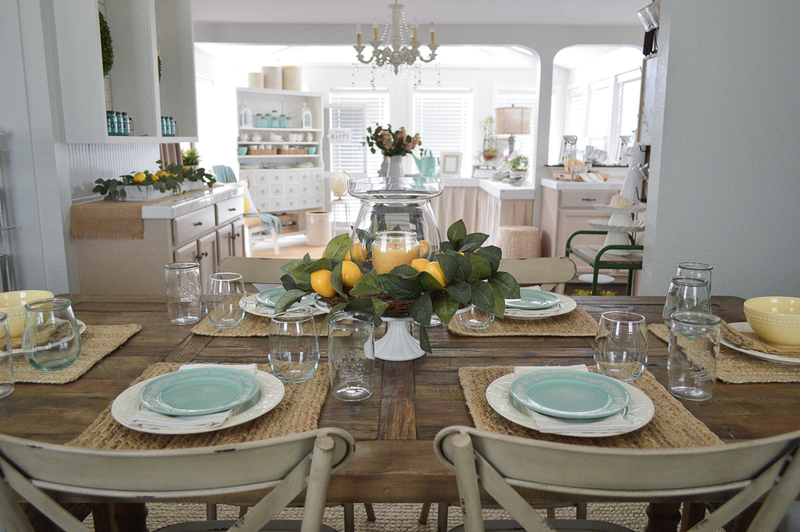 The bonus of decorating a small space is that it doesn’t take as much decor to complete it. Yet I still took 95,000 photos… I’m sorry. I was just in some sort of a pink coma I guess. 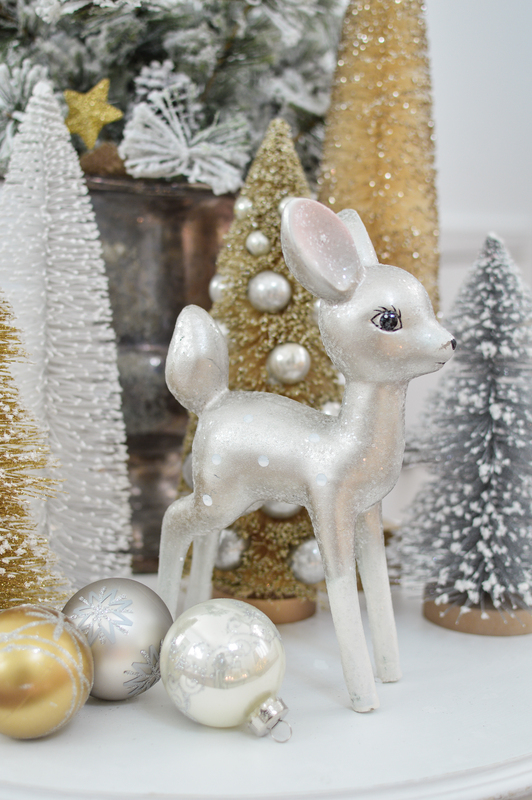 With all the girly colors and my Doe throw… and the glitter. See how pretty the table looks when the candles are glowing? 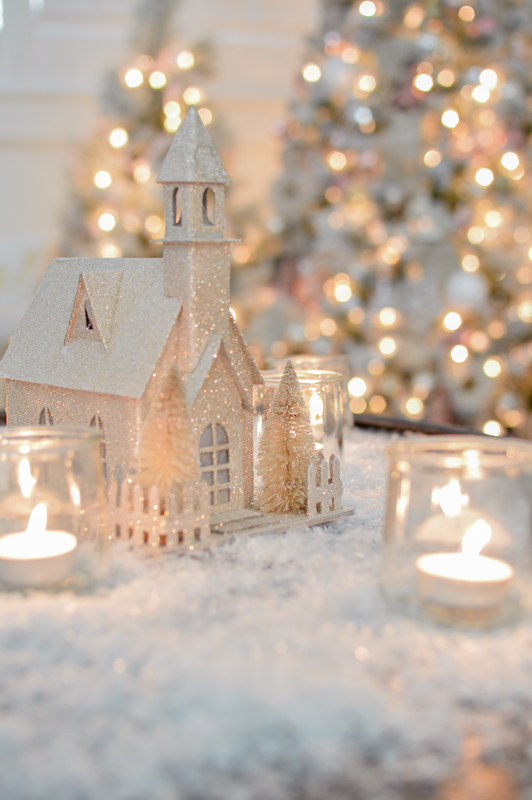 Candles + Faux Snow + Something Glittery = Magic! I absolutely have plans to sneak down here at some point and indulge in a movie! Perhaps on high volume, when my house is being torn apart? I love a hidden TV, though I am getting really tempted by those fabulous TV consoles with built in electric fireplaces. How cozy would that be!? And my white glass front cabinet is still saving the place for a fridge. One of theses days, I’ll run across a good deal. And Austin will love me extra. Even if the house is pink. Which I promised not to do to the actual guest bedroom. Were my fingers crossed behind my back? Maybe. I thought I might sneak back down, light all the tiny coffee table tealights, and re-shoot some of those views. But then reality called and laughed at me. Plus I don’t want your Christmas gift from me, to be your eyes falling out… so I’ll wrap it up. Your welcome. Thank you so much for joining me! If I didn’t have you to share this pink wonderland with, I might just pop! Blogging has been such a huge blessing over the years, being away from my mom and my sister. Having all of you to share with is really something I am so, so thankful for!!!! PS: As I type this, the boy kitty is back home, all taken care of! Safe, healthy and recovering for the night in the warm & cozy bathroom at The Little Cottage. And hopefully not missing his little bits that were snipped while they had him. 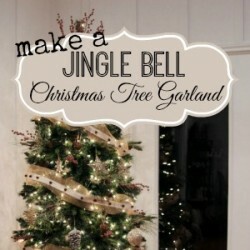 PPS: And, I’m going to do a separate post on all the tree details if you guys are interested, so you don’t pass out from reading this post. Some clickable shopping links may be affiliate. 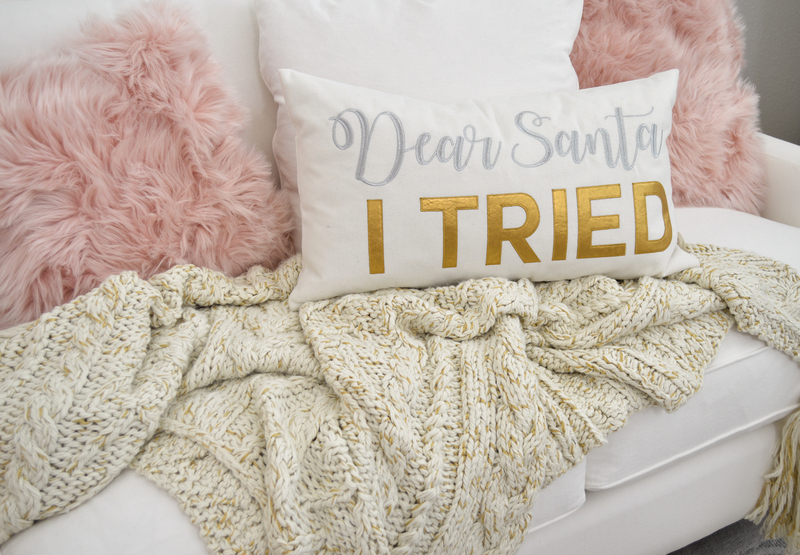 My No Place Like Home Pillow, Sign and White Christmas sign, are all from Krumpets Home Decor. 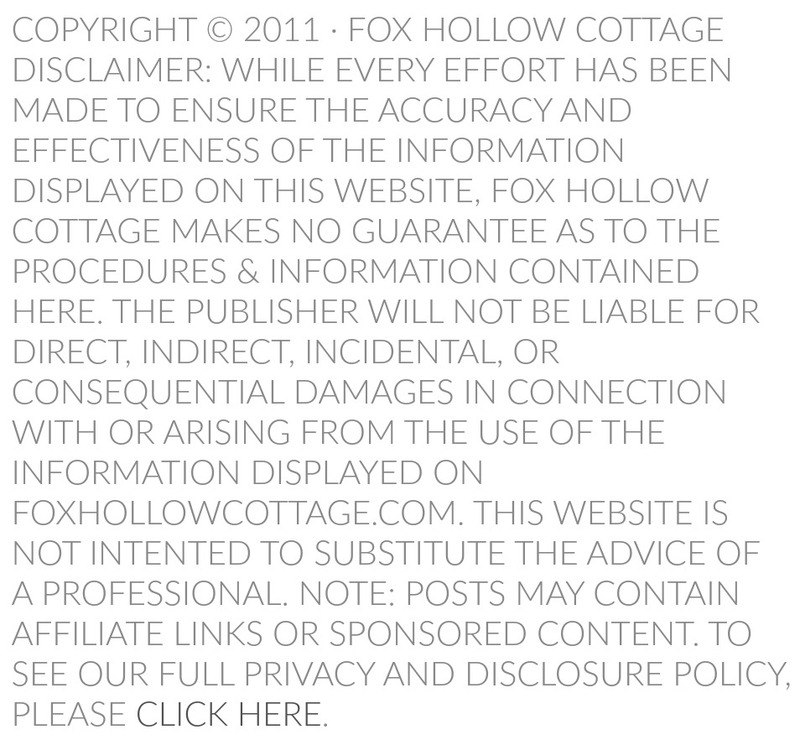 — Use code FOXHOLLOWCOTTAGE in all caps at check out. Foxy your little cottage is so beautiful. I could move in tomorrow. Gorgeous colours. Me too!! The more I fluff it the more I want to hang out there!! Love Love Love the little cottage! My daughter will be away for Christmas for the first time and I sent her a little pink tree for her table. She said she loved it and wants a big tree like it someday. 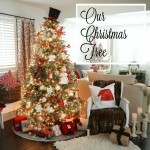 I sent her the link to your blog post and she said that your tree is exactly what she envisions having one day! 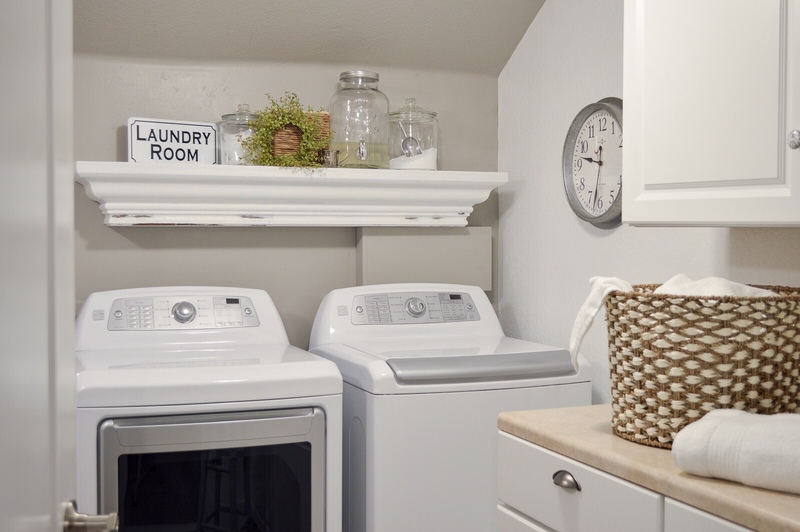 Thank your for sharing your beautiful space! Hope you get to be together soon. Merry Christmas! This tour is so gorgeous, I am left with the feeling of coming home, you know that special feeling after being away for too long?! This is a beautiful wintery and cozy place to be, pure magic! xoxooxxo I love your style so much, but I love your heart to infinity! I’m so happy you enjoyed it Patty. Oh us too, we haven’t seen him since the morning we let him out… but at least he’s not out overpopulating the cat feral/stray problem. I hope he stops by soon. I loved every little bit of the PINK! It reminds me of sherbet or cotton candy. Yum! Great job Shannon. OH I love your description! How come everything good is a food? hehe. I do that too! Hey…. you know I love the blissful cottage, but I gotta know how you catch the feral cat? It took a long time – we gained their trust and can pet them at their food dishes, they are very loving. But only at the food dish. We can’t pet them anywhere else on the property. But they follow us and are watchful and curious. I got him eating and had the kennel right there. He was not happy and told me all about it on the way to the place. He was let out this morning and ate a whole can of wet food and took off. I hope he comes back. The girl hasn’t left since we got her fixed and brought her home. She lives here. Jimmy just ordered a heater for their house he made them. Just beautiful! I have always loved pink and peach. I had a peach living room for years then I moved. I moved a 150 year old house out to the country and we spent years redoing it and adding to it. The outside is peach and white . 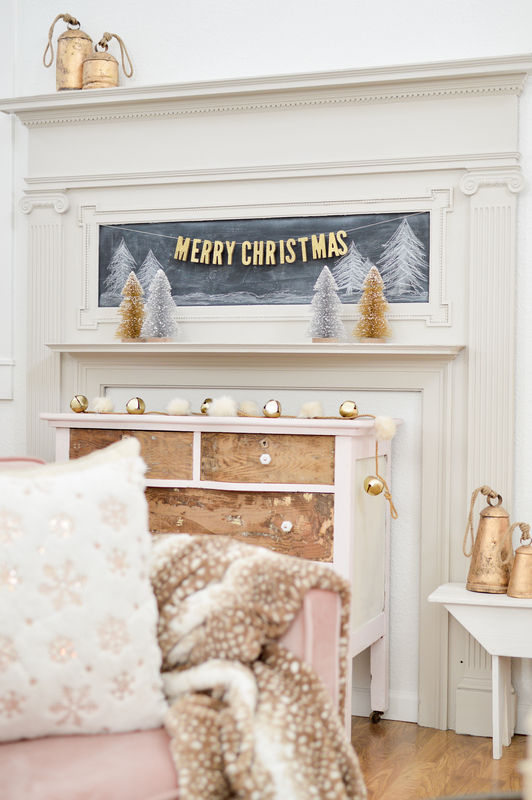 I use a lot of pastels in my house and do a lot of pastel Christmas. Sadly my house is for sell because I have been sick and must downsize. I have a pinterest blog called “The House I’ll be Sad to Leave”. I decorate a lot like you and put my heart into this house. I have made a lot of decorations over the years and collected way too much . 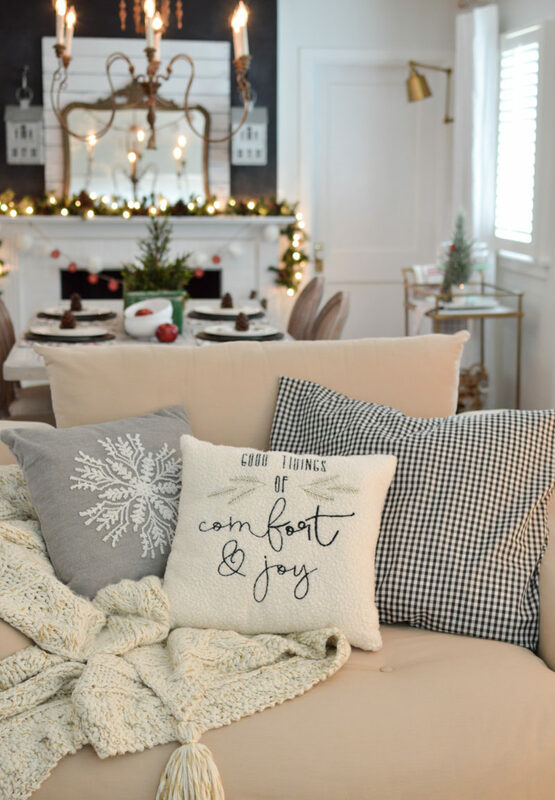 I was not able to decorate for a couple of years but since my house is on the market I have done my my best to decorate each room but is has been very hard. Years ago I painted Santa gourds for QVC and sold out 500 in 4 minutes. I’d love for you to see them on my piano in my entrance hall. 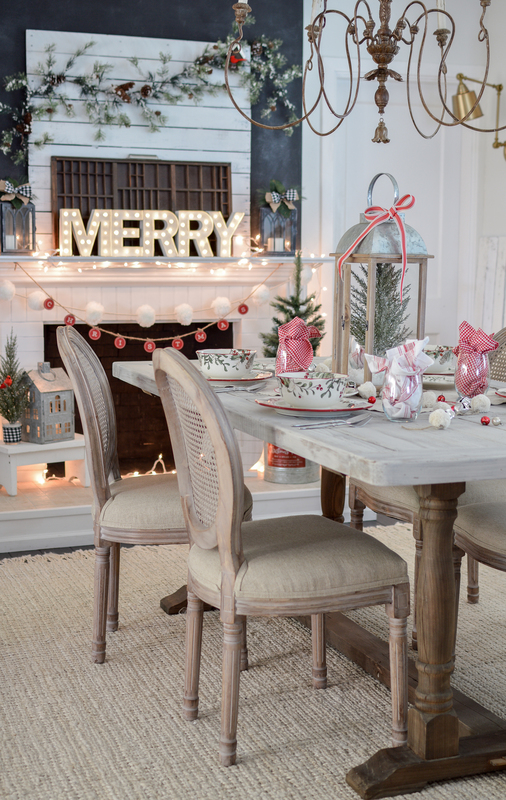 Keep up the beautiful decorating. I love to look each time you post. Ruth I am so sorry. I know how hard downsizing can be, and it’s hard to leave a home we love. I pray you are well soon and settled into a new normal. It took a bit, but I embraced this home after a time of mourning. And am thankful for these walls and it’s protection. Health is of the utmost importance and I hope you are feeling fine very soon. I found your home and it’s so very lovely!! I hope it’s memory warms your heart for many many years to come. Merry Christmas to you, and a Happy New Year! PS: We too owned a dining set exactly like the one you’ve got in your formal dining room. What a coincidence! And your antiquities are exquisite. 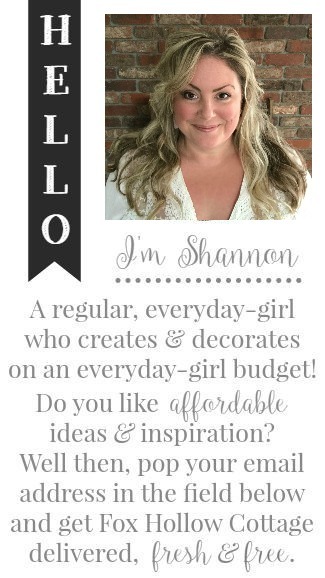 Shannon, not only do I love, love, love this space and every beautiful detail but you have me laughing as I do the same. If one photos is good, 50 is waaay better right?! 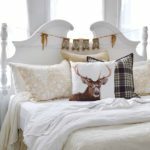 Love that sweet deer and for throw! Tanya I really loved this, I know you aren’t supposed to say that but I loved it as it was all coming together. I just enjoyed the process, and I couldn’t stop taking pictures. There are so many more than I shared. LOL – Hopefully I just painted a complete picture with what I did share. Gorgeous. 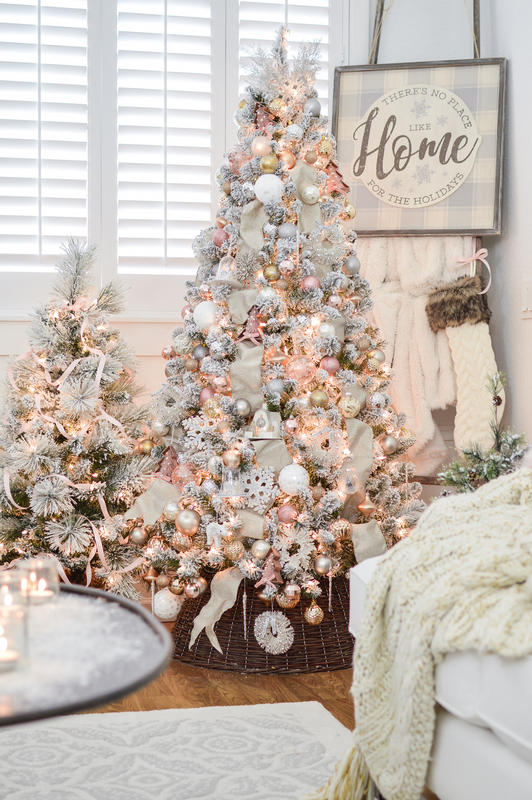 I love all the blush pink and using two trees, one large and one small is so pretty. What a fabulous creative idea. Especially since it’s such a tall room and I think the tree would have looked too small otherwise. Shannon, i LOVE LOVE LOVE the pink little cottage!! Pink is my favorite color! you indulge me since I can’t go all pink in my own home, I look at yours over and over again and scrutinize every lovely detail. It truly is so beautiful, peaceful and lovely to look at. I’m so thankful for your blog! you bring so much beauty in my world by showcasing your home. I love to see how you decorate. You have a gift. Thank you for sharing it with us all. It’s such a treat for me! You are so kind and I’m thrilled that you liked it!! 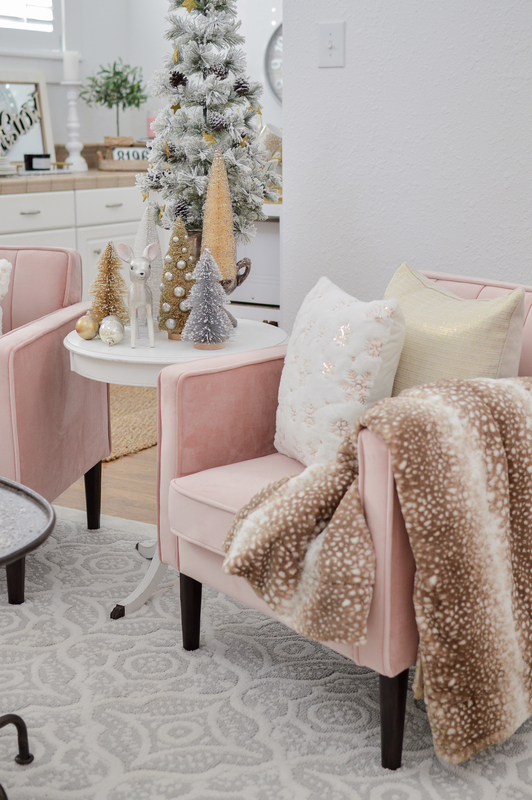 I had a blast decorating and it was a joy to do this, loved playing with the pink so much. The pink is so rosy and warm. For such a delicate color it packs a big punch. The little deer is so gosh darn cute! The flocked tree is beautiful. I could just sit there all day in some flannels (pink of course) with a cup of tea and relax. And to think it all started with the chairs! 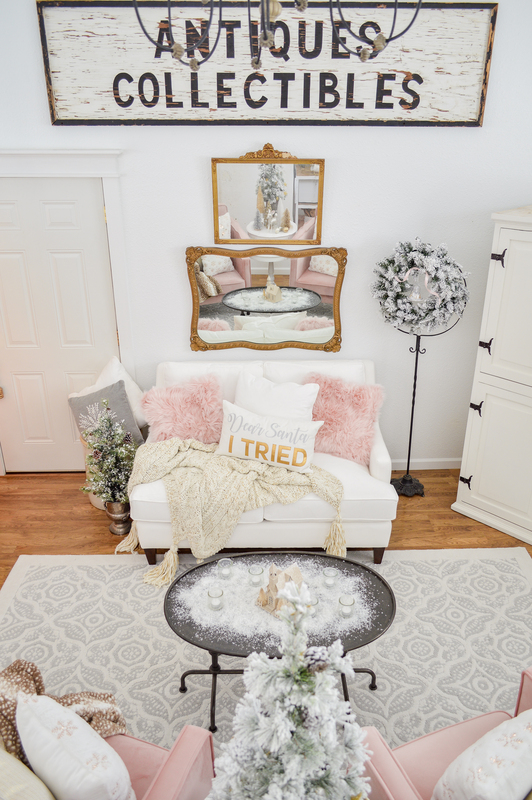 All the pale pink touches like the stool, the dresser, the little sparkly house on the coffee table all work so that you see the color everywhere but it’s not overwhelming. The gold mirrors were a great find! I think the electric fireplace with a TV console might be just the thing! Fabulous job – you worked so hard for us! Merry Christmas! 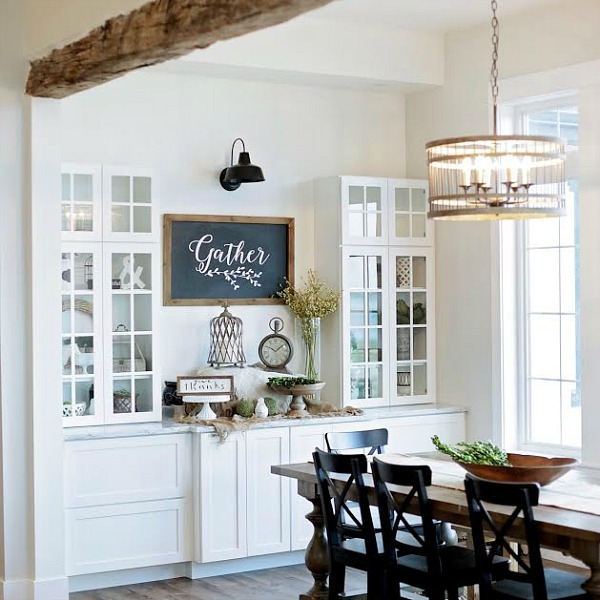 Girl, BHG has some cute ones, but no white? I’m so tempted to buy one and paint it. LOL. Just to give it a try. THANK YOU ~ I had so, so much fun decorating and it’s such a blessing to be able to go girly. I’m glad you liked it. And I’d gladly have a PJ movie party with you! 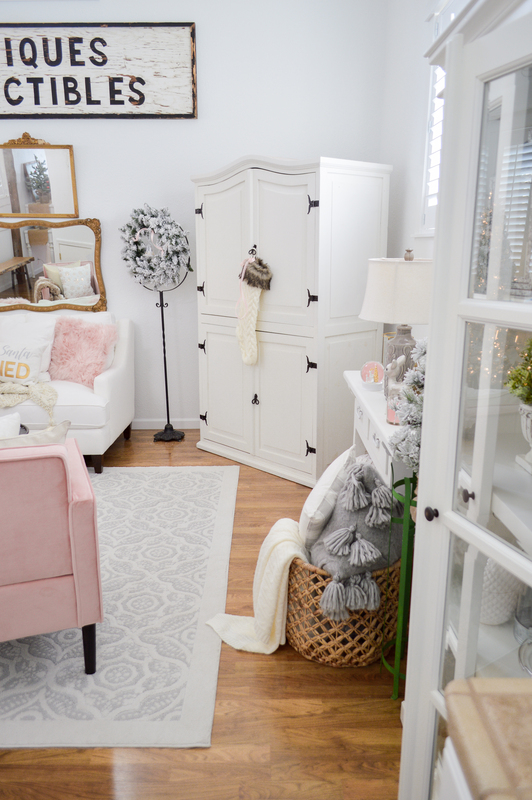 Seriously Shannon, you created the blush Christmas cottage of my dreams. I could move right in and not change a thing… hmm, perhaps one, it might be a little cosy for two, sorry Austin. 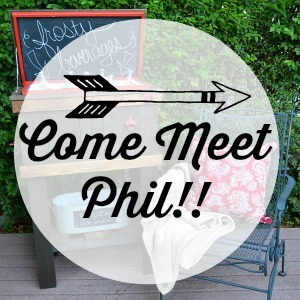 You come visit anytime! We should totally do that, I’ve always wanted to see Australia. Very pretty and warm and welcoming at the same time. Love all the small touches as usual that bring them altogether. thanks for sharing. 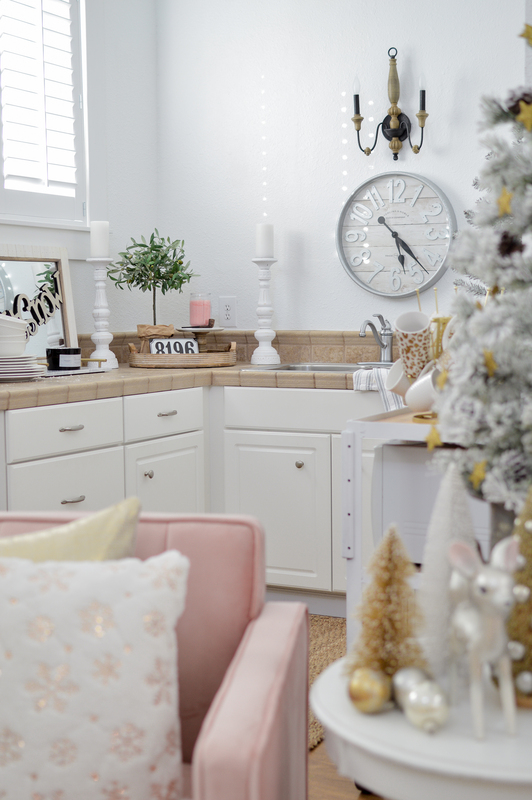 I couldn’t wait to see the Little Cottage all doozied-up for Christmas and you certainly didn’t disappoint. This is fabulous Shannon! So glad you chose the pink chairs over the gray. The pink is so rosy and warm and despite being a delicate color it packs a big punch. 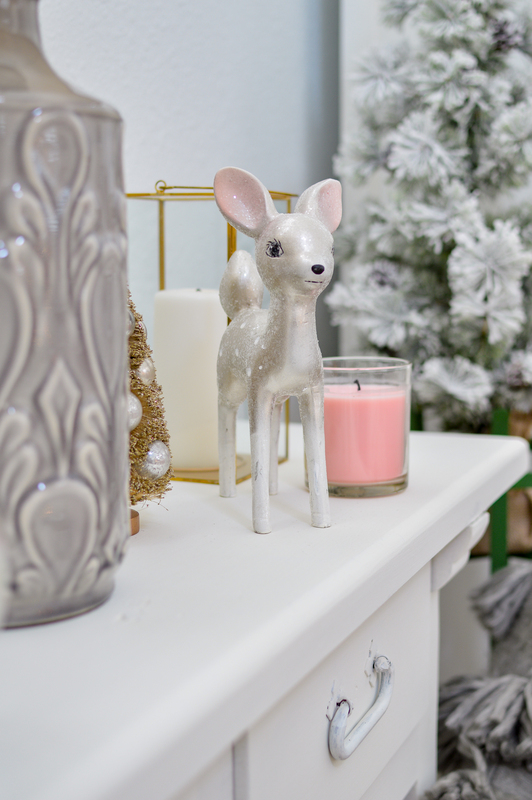 That little deer is darling with her little pink ears – so cute! 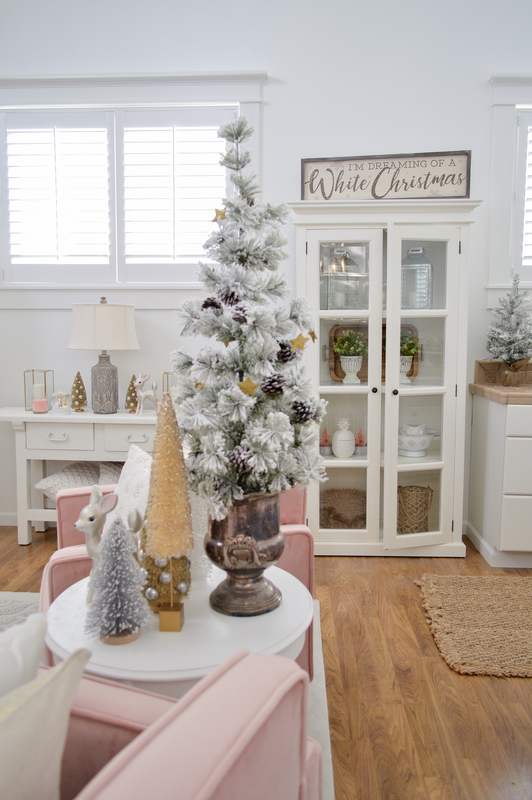 The flocked tree is a good size and the ornaments look very classy! The ladder with the Home for the Holidays sign works very well in that spot. 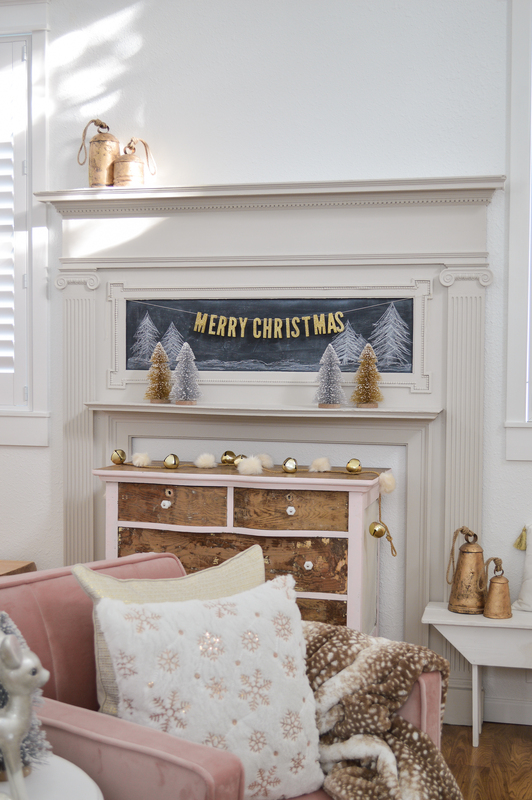 Crank up the volume on the TV, get comfy in some pink flannels and watch a Hallmark movie – Merry Christmas!! Thank you so much Terri! I was SO excited to share it with you all. I had a super fun time decorating and really enjoyed myself. 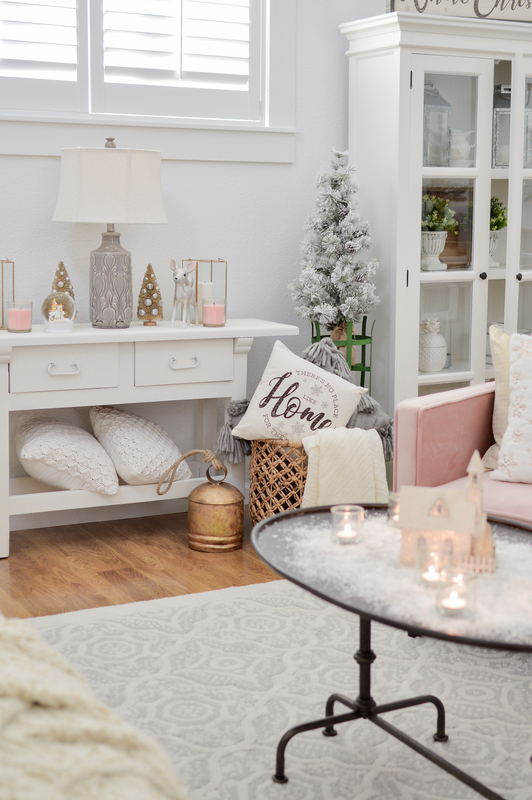 Affordable Pink Cottage Christmas Decorating Ideas. 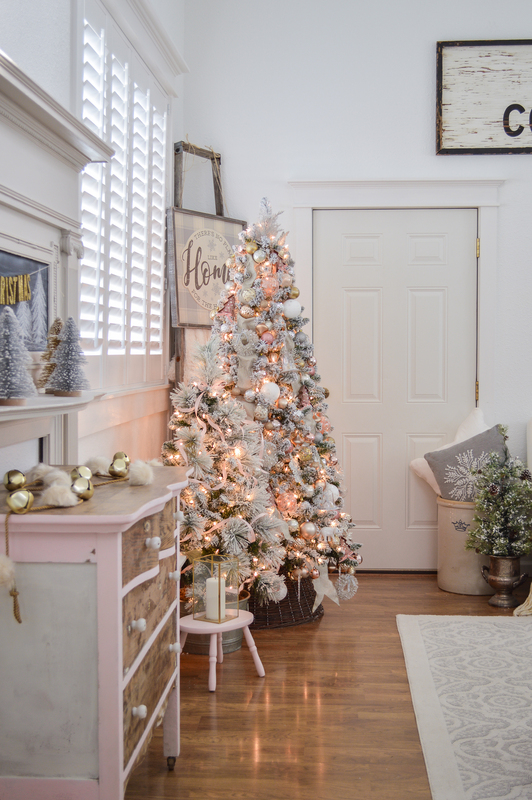 Flocked Walmart Tree, Vintage Decor + Simple Holiday Ideas For Your Home!